Have you dreamed about a day with princesses? 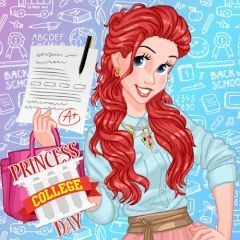 Ariel can take you to her college, but you must help her to prepup. Take things for study and dress up!